Is Your Door a Good Feng Shui Door? The front door, or main door of a house, is very important when it comes to feng shui. The house gets its chi, or energy nourishment, through the front door. The stronger, healthier, and more balanced the front door is, the better the quality of energy is available for those who live in the house. Adding strength to your front door can be as simple as ensuring a clear path to the door or repainting it a more auspicious color. 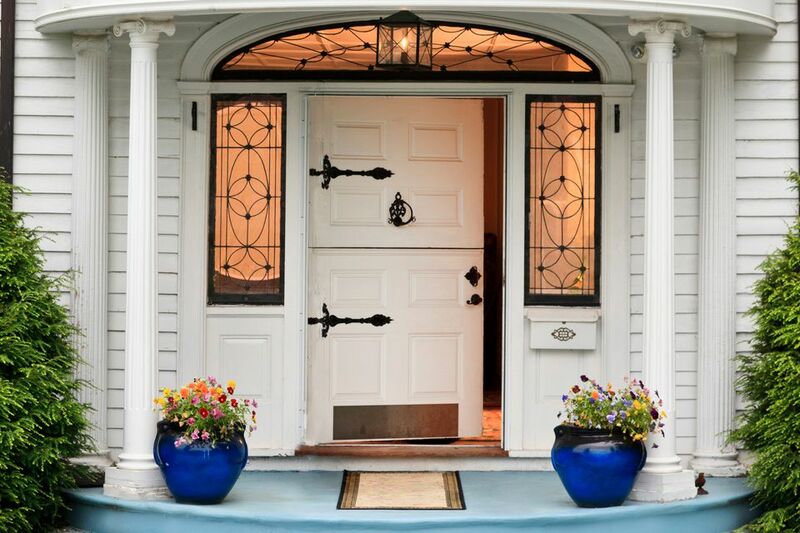 As a general goal, your front door should be as inviting, welcoming, and attractive as possible. 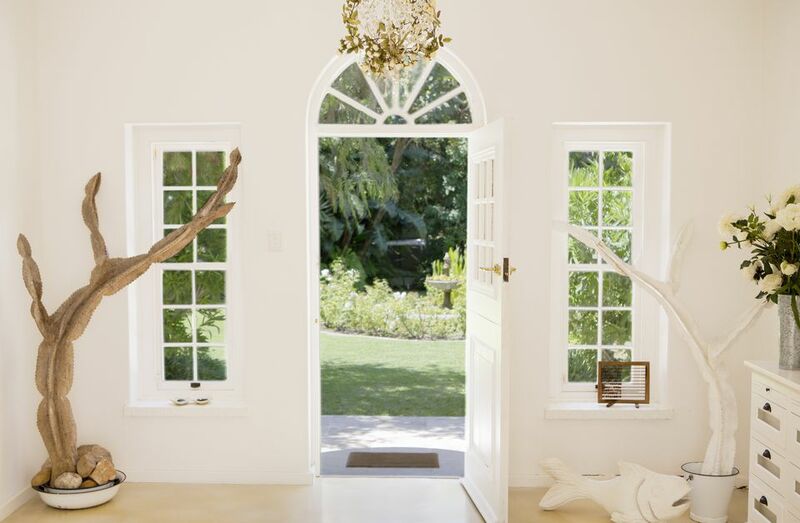 Ensure an unobstructed, open flow of energy to the front door. This means there are no recycling bins, cracked old pots with dead plants, or any other items blocking the flow of feng shui energy to your front door. Any objects that make it hard for you or for visitors to get to the front door also hinder the flow of energy to the door. Keep the area clean, fresh, and flowing. Also, ensure a clear and flowing path to the front door. The most auspicious feng shui flow of energy to the front door is via a smooth and meandering path resembling a water flow, instead of a geometric or sharply angled path. Show your front door some love. Make sure it opens widely and easily—without squeaking—and that it has attractive door hardware and relatively fresh paint. No odd-looking, unused fasteners; no rusty doorknobs; no weathered Christmas wreaths in June. If you display love and care for your front door, it will help you attract the same quality of energy into your home. A strong feng shui front door opens up to a smooth flow of energy in the interior entryway or foyer. The efforts of attracting the best feng shui energy to your house will be wasted if your main entry does not have good feng shui. You need to channel the good feng shui energy throughout your house, and it all starts in your main entry. Part of a smooth transition into the home is a front door that opens in to the house, rather than opening out. A door that opens in is more welcoming to guests and more open to positive energy. A door that opens out pushes out toward visitors, making them back up if they are standing close to the door. A similar effect can occur with energy. The front door should have a good relationship with the house structure. A strong feng shui front door is a door that has pleasing proportions to the rest of the house. This simple point is often forgotten during home renovations, such as when small houses are expanded to two or three stories but still have a tiny front door. This might have been enough when the house was a small, one-story structure, but with the bigger house, you need a bigger front door. There are several common conditions that weaken a front door or promote negative energy. Look for less-than-ideal situations and correct them as best as possible. Sharp or pointy objects directed toward the door: Correct these “poison arrows” and their negative energy by avoiding decor items with sharp edges or points. If the poison arrows are coming from part of your house or a neighboring house or building, consider using a bagua mirror to absorb the sha chi (negative energy) flowing toward the door. Front door aligned with the back door: This can allow positive energy to flow in through the front door and quickly go out through the back door. Correct the problem by placing furniture between the front door and the back door. Mirror facing the front door: Mirrors can be effective for making a small or cramped entryway appear larger and more open, but a mirror should not face the door directly, which can reflect energy back out the door or create a sense of disorientation. Place mirrors to the sides of the door instead.